Tuesday we headed south to Manitoulin Island - the world's largest fresh water island. 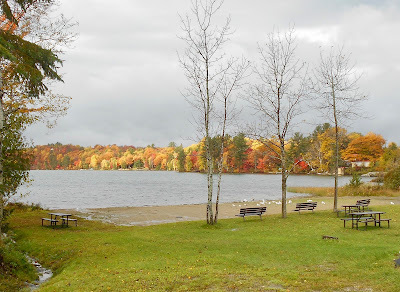 It's a 2.5 hour drive (one way) from Elliot Lake and by the time we reached Espanola (still on the mainland) it was already time for a short stop to enjoy our picnic lunch. As luck would have it the sun peaked through the clouds to showcase the gorgeous autumn colours on . 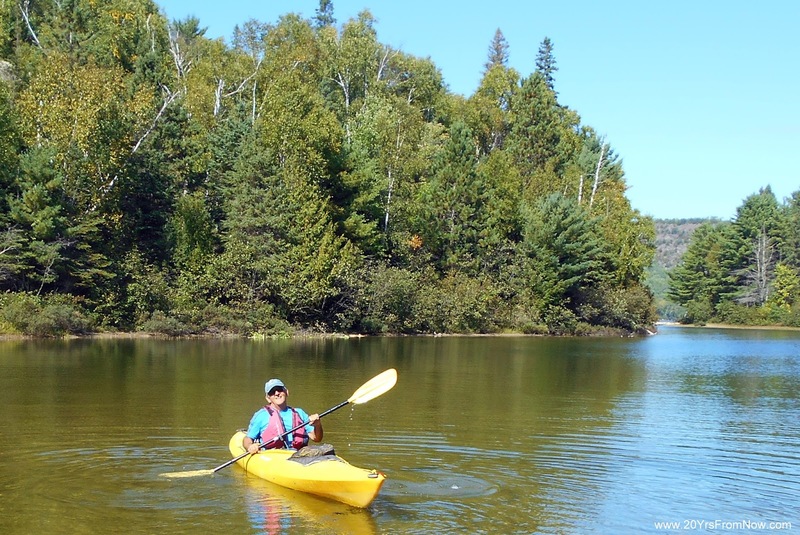 John paddled the Cataract River which leads to Lake Duborne and then Blind River yesterday. I tagged along and it was my job to drive the van from where he began to where he'd eventually end up. It took him about 2.5 hours from start to finish. Directly across the river from where he set off is this gorgeous log home. Autumn in Ontario Canada is spectacular and we do our best each year to take full advantage of this place we call home.